The American Institute for Cancer Research (AICR) a few months ago raised the alarm about the modern Western diet and processed foods. This matters, she adds, because obesity has been linked to several health problems, including type 2 diabetes, heart disease and cancer. The researchers concluded that to protect our health, we have to do one thing — eat fewer processed foods. To help you do that, we’ve got seven of the worst packaged foods below for you to avoid, along with some recommendations of healthier options you can choose instead. Before we continue, it may help to define processed food clearly. 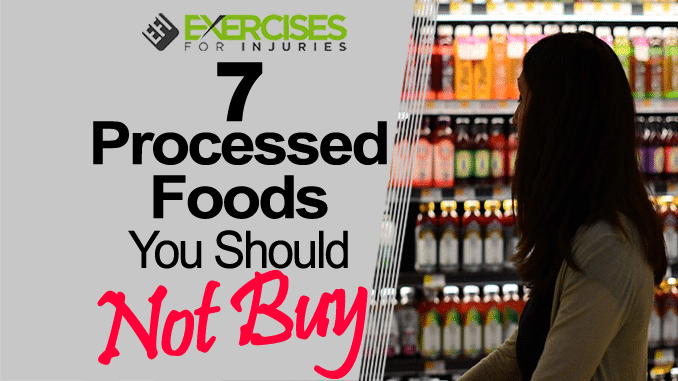 What are processed foods, anyway? These are foods that are not in their natural state. A banana, for example, is a natural, nonprocessed food. Banana-flavored pudding that you buy already packaged is a processed food and usually includes added preservatives to extend shelf life as well as additional chemical flavorings. A potato is a natural food, but potato chips are processed foods that come with additional chemical preservatives and flavorings. Researchers from the study above noted that processed foods typically are manufactured using several ingredients that are “lower-cost industrial sources of dietary energy and nutrients” as well as additives that add flavor or texture. 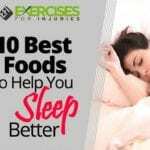 They added that these processed foods are also higher in added sugar, total fats, saturated fats and trans fats and lower in protein, fiber and most other nutrients. The issue with processed foods is twofold: nutrients are lost, and artificial ingredients are added in. Food straight from the source is the most nutritious. If you pick an apple off the tree, for example, you’ll get more nutrients from it than if you wait until it’s picked and shipped to your grocery store. If you wait until the apple is processed into commercially available apple juice, you’ll get even fewer nutrients. If you choose apple-flavored cereal, you may not get any of the original nutrients at all. What is the level of processing? Milk that is fortified with vitamins is considered processed but only lightly processed. Other lightly processed foods include canned tuna and frozen vegetables. These foods normally contain the majority of their nutrients. Ready-to-eat crackers or cake mixes are considered heavily processed. The most heavily processed foods are typically those that are the fastest and most convenient to make like frozen pizza and microwaveable dinners. These are the foods that are most lacking in their original nutrients. Heavily processed foods are also those that have the most artificial ingredients in them, including chemical preservatives, flavorings, colors, sweeteners and oils. Some of these added ingredients have been linked with an increased risk of health issues. High fructose corn syrup, for example, is in many processed foods and has been linked in studies to a higher risk of weight gain than regular sugar. In general, if you’re not sure how processed a food is, consider this: how far away is this food from its original form? That will give you a general idea. There are many processed, packaged foods that aren’t good for you. We’ve selected some of the worst here. These foods lack important nutrients and contain potentially dangerous additives that could negatively affect your health. These are generally high in fat and calories, so they can lead to becoming overweight and developing obesity quickly. 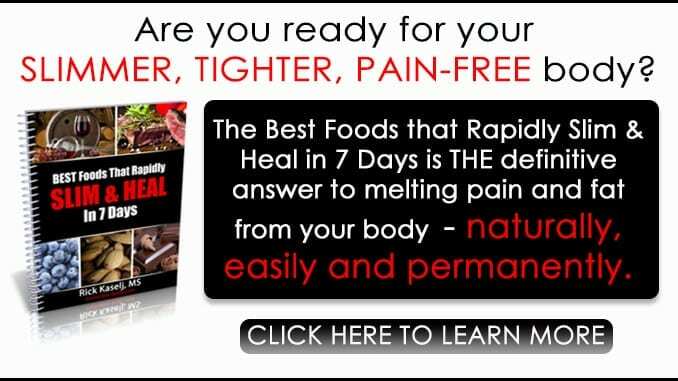 They’re also made specifically to tap into our reward systems, satisfying our desire for salty, fatty foods, which means we usually eat more of them than we should in one sitting. A 2012 study reported that food can act on the brain in the same way that drugs do, stimulating reward systems that encourage us to eat more and more, even after we’re full. Potato chips are also low in nutrients and high in sodium, which has been linked to an increased risk of high blood pressure and heart disease. They usually contain preservatives like butylated hydroxytoluene (BHT), which has shown in animal studies to potentially lead to cancer, although we need more studies to know for sure. Try instead: Baked potato chips or even baked vegetable or apple chips. Unsalted whole-grain pretzels are also a better choice, as is air-popped popcorn. The International Agency for Research on Cancer (IARC) has classified processed meat as a carcinogen. They reached this conclusion after 22 experts from 10 countries reviewed more than 800 studies. The results of their review showed that eating 50 grams of processed meat (about four strips of bacon or one hot dog) a day increased the risk of colorectal cancer by 18 percent. One of the main reasons processed meats are unhealthy is because manufacturers add nitrates to them. These are preservatives that help enhance color and flavor, but nitrates can break down into nitrosamines in the stomach, and nitrosamines have been linked to increased risk of cancer. Nitrites can also change into nitrosamines during high-heat cooking. Try instead: Canned tuna or salmon, peanut butter, rotisserie chicken, homemade roast turkey, portobello mushrooms or egg salad. All you have to do is look at the nutrition facts on a frozen pizza to know what’s unhealthy about it. One slice of one brand’s rising crust supreme pizza, for example, has 630 calories, 540mg of sodium, 23 grams of fat — 7 grams of which are saturated — and 56 grams of sugar (and we all know we usually eat more than one slice). Read the ingredient list, and you’ll find all sorts of chemicals, including sodium nitrite, sodium ascorbate, butylated hydroxyanisole (BHA,) BHT and more. Try instead: Make your own mini pizza using a whole wheat English muffin and your favorite, real food toppings. 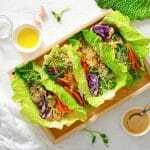 Alternatively, try a wheat hamburger bun topped with portobello mushroom and other healthy toppings like bell peppers, onions, spinach and feta cheese. You can also use whole grain toast and bake your toppings on top. Many homemade options don’t take long to make. Ready-made soup can be good for you, but many of those on store shelves contain too much sodium. We’re talking sky-high amounts, ranging from 500mg to 900mg or more. The American Heart Association recommends no more than 2,300mg per day. Many cream-based ready-made soups are also super high in fat and saturated fat, which can pad your waistline and increase your risk for heart disease. In addition, canned soups are often put into cans that have plastic linings in them, and those plastic linings contain bisphenol-A (BPA), a chemical that has been linked to health problems. The Mayo Clinic warns that BPA may seep from the containers into the food and may increase the risk of high blood pressure. A 2015 study also found that BPA was linked to hormonal disorders, infertility and hormone-dependent tumors like breast and prostate cancer. Try instead: Look for organic soups packaged in boxes instead of cans, and choose those that are low in sodium and fat — or make your own soup. Fruit juice and fruit drinks are often very high in sugar, and many of them don’t contain much real fruit juice. One serving of fruit juice can also give you just as many calories as a sugary soft drink (or more), and if you don’t get those that are made with 100 percent juice, you’re getting few to no nutrients with it. Many manufacturers try to fool you with their labels, marking their juice as “100 percent pure” or “not from concentrate” to make you feel like you’re getting a natural food. Double-check the ingredient list as these juices may still contain mostly sugar and flavorings and very little real juice. Even if you get the 100 percent pure juice, however, you’re still getting a lot of sugar and calories in a serving and no fiber. That means your body is going to process the juice quickly like candy and that can boost your blood sugar levels, then lead you to crash later on. 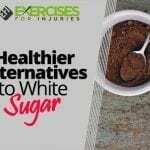 All that sugar can also lead to weight gain. Try instead: Eat whole fruit instead. If you love fruit juice, choose the 100 percent real juice forms, and limit your consumption to only a half cup now and then as a treat. By the time the cereal gets to you, it lacks most of the nutrients that were in the original ingredients, which is why many manufacturers add vitamins and minerals back in, via supplementation. It is unclear how well your body can absorb these nutrients. Try instead: Natural grain cereals like real oatmeal and muesli are best. Otherwise, look for those that are high in fiber, low in sugar and made with real whole grains. Check the ingredient list and choose those that have few chemicals and mostly ingredients you can pronounce. You can also choose other breakfast options like low-sugar Greek yogurt, a homemade omelet or natural granola. Whereas natural cheese is made with real ingredients like milk, salt and enzymes, processed cheese is made with only “some” real dairy ingredients (often a combination of different types) that is then reheated, pasteurized and mixed with emulsifiers to provide a uniform texture. After all that, artificial colorings and flavorings are often added. Look at a package of American cheese singles, and you may see up to 15 ingredients added, including acetic acid, monosodium phosphate, sodium tartrate and more. Processed cheese also typically contains much more sodium than real cheese. Try instead: Look for real cheese made from simple ingredients. Read the ingredient list and look for high-quality varieties.